Buying loose gemstones may seem a bit confusing or frightening for the first-time or new gemstone buyer. There are many benefits to buying loose gemstones. These stones can then be set into any piece of jewelry desired, and can often be created and crafted into custom made pieces. Take the guesswork out of buying loose gemstones by becoming more knowledgeable about the art. There are many different reasons that people choose to buy loose gemstones from upgrading jewelry to making a profit. It is vital to know the stones being purchased as well as knowing how to buy the loose gemstones to get the best deals. With a few helpful tips, it is possible to make loose gemstones a great addition to a current jewelry set or use as an investment. Loose gemstones are a perfect way to upgrade current jewelry. 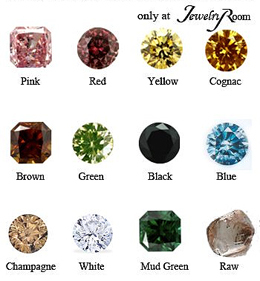 Loose gemstones can be purchased for a variety of reasons. It is a good idea to purchase loose gemstones if you are wanting to upgrade a ring, replace a lost stone and you have an empty setting, or if you have a chipped or damaged stone that needs replacing. When budget is an issue of concern, loose gemstones are profitable purchases as the stones can often be purchased less expensively than purchasing the entire piece of jewelry at an expensive jewelry store. An individual can take a stone into a jeweler and then only pay a fraction of the cost with their own stones in hand. There is a profitability component, as well. Loose gemstones are not only profitable purchases when an individual intends to create a piece of jewelry, but they are profitable purchases for resell. Gemstones can be resold as loose stones for profit or set in jewelry and resold for a higher price. Gemstones can often be purchased for wholesale prices in mass quantities, making them even less expensive. For those who have considered investing in gems, loose gemstones are often the perfect investment. If you are not sure what the difference is between a ruby, a sapphire and a topaz, do some research before purchasing any loose stones. Know the color of each stone and the best cut for each one. Know popular trends for the stones you are wanting to buy. Know how to care for the loose gemstones that you are interested in purchasing. Stones including pearls, opals and Tanzanite require gentle care and a different type of cleaning than a topaz, a sapphire or a diamond. Some stones are softer than others and can best be cleaned with a soft cloth or a mild soap and water while others should be cleaned with an official jewelry cleaner. Research can help you discover what you need to know, in order to care for the stones you are purchasing. Look for gemstones that have the right cut, clarity and color that you are desiring. Choose a stone that has no flaws, cracks or an otherwise flawed appearances. Take the time to research the stones you are considering buying and become knowledgeable about the stones and their worth. For example, Tanzanite, blue topaz and sapphires may look similar, but they vary greatly in price, popularity and profitability. Read through the important policies and certification of the gemstone seller or on the gemstones themselves. It is important to read the fine print and look for authenticity. If a seller cannot guarantee that the gemstones are authentic, avoid purchasing them. You want to look for a high quality for the lowest price possible. Purchase the right size stone for the setting you are wanting to place the stone into if you are placing it in a piece of jewelry. Know your cuts. For example, know the difference between a round, a princess, a pear, a marquis and an oval cut. Know which cuts will shine best in which setting style. Ask questions and do research in order to purchase the right loose gemstone shapes for the purpose you are wanting to buy them for. There are many different styles of jewelry trends, including Victorian, art-deco, Edwardian and more. Knowing which style you are wanting will help you to purchase the right stone shape for the style. Unless you are reselling the gemstones for profit, avoid buying more than you are wanting. If you are only wanting three stones, avoid buying one hundred stones. One key to profitability success is to know what you need and purchase according to your need. Look for sellers that offer wholesale pricing or discounted pricing. Be careful, however. When prices are discounted for loose gemstones, this could mean the stones are of a lesser quality or that they are damaged in some way. If loose gemstones are discounted, ask questions to discover why there is a discount and ask how much the discount is. Loose gemstones can often be purchased productively through online auctions or online websites. There are a variety of online auctions to choose from, including no reserve auction bidding, live auctions with no reserve online and live in-person auctions. Loose gemstones can sometimes also be purchased from jewelry stores going out of business or having a sale. Ask around and research online auction loose gemstone sites to find the right way to purchase for you. Evaluate and inspect all auction sites that are selling loose gemstones as they vary in quality, in pricing, and in policy terms. Make sure you are knowledgeable about the policies and that you can purchase with confidence. Contact a live person that is connected to an auction site before purchasing. If you cannot contact a live person via email or telephone and if you cannot have your questions answered in a pleasing way, avoid bidding or purchasing from that site. It is the same with jewelry stores. If the seller is vague or if the price seems too high, or if no questions are answered, avoid purchasing that stone.